While other countries like Taiwan, China and Hong Kong enjoy cold, winter Chinese New Year, over here in Malaysia we are experiencing one of the hottest season. In Penang, Chinese New Year is synonymous with extremely hot and dry weather. The afternoon sun is so glaring and you can hardly see any clouds. Only blue skies and one burning sun. So, we have to tailor our Chinese New Year meals to suit our climate here. Most people do not even have any appetite during this hot weather and we usually live on snacks and leftover foods. Note that agar-agar is not the same as jelly or konyakku. Agar-agar is made of seaweed. Jelly is from gelatine. Konyakku is starch from plants. 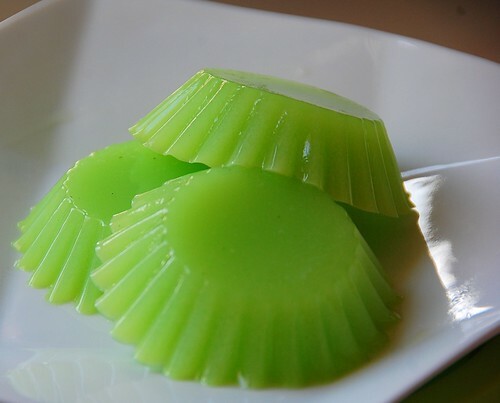 Agar-agar is much nicer than jelly or konyakku because it doesn’t have the wobbly and rubbery texture. I made the above with some coconut milk and pandan juice (just blend 4 pandan leaves with water to get the juice, sieve it). 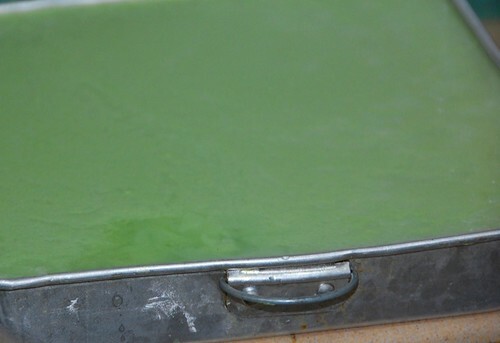 If you find it too much bother to put the boiled agar-agar liquid into individual moulds, just pour it into a large tray. The trick to get the right agar-agar texture is to use less water than recommended. I normally reduce the recommended quantity of water by 300 mls (from 2.5 liters) because I am most afraid of getting a too thin liquid which won’t set. 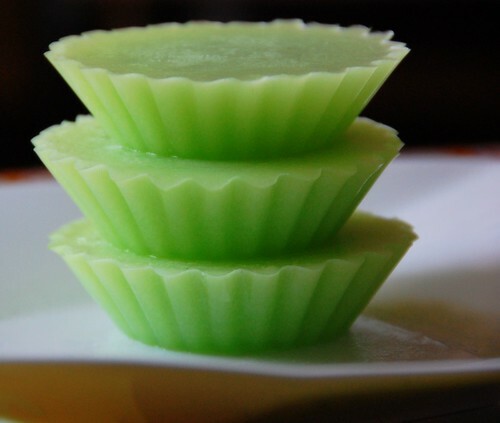 Desserts like agar-agar is very much welcome by guests visiting our homes during Chinese New Year. Stock up on watermelon, honeydew melon, papaya, mango and other local fruits too. Avoid those Mandarin oranges because these citrus fruits tend to make people sick. How much coconut milk do you use for the agar agar? Does it affect how much water you put in?